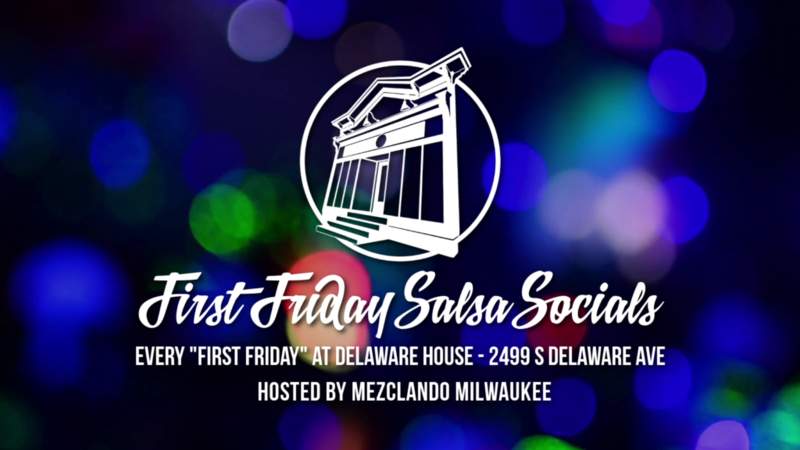 Join Mezclando Milwaukee for a night of Salsa, Mambo, Bachata, and Cha Cha at Milwaukee’s longest-running Salsa social every first Friday of the month at the beautiful Delaware House Studio in Bay View, just minutes from downtown. Enjoy dancing in a spacious, air-conditioned venue to the best Latin music not heard in the clubs; the “good stuff” dancers can really sink their skills into! Enjoy a beginner dance lesson at 8:00PM followed by open dancing and refreshments after at 9:00PM. Socials often feature dance performances by local amateur and pro-am dance teams and occasional workshops by guest instructors. Cost is $10 at the door. Attire is casual, but please wear non-marking shoes. For more information, visit Contact Mezclando Milwaukee.